I've had many fabulous stylists and friends do my hair over the years and many of them have done ombre in my hair as well. I love going to the salon, but sometimes a girl is on a budgie, if ya know what I'm talking about. 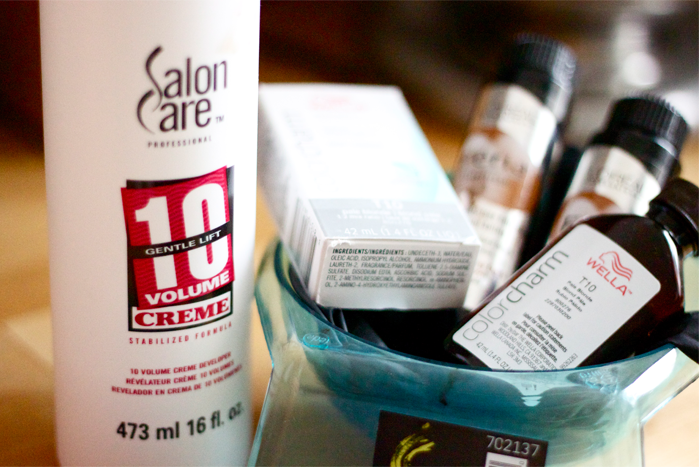 I also feel that, with ombre, it is so easy to do at home. I like being able to go back in and make pieces I want lighter, lighter, and being able to apply bleach the random fashion that matches my random life. I also think my husband truly enjoys me traipsing around the house with dark hair color dying my neck and random specks appearing across my face. One of the many perks Caleb got when he married me was checking to make sure I got all my hair color where I wanted it, and taking pictures like these where he thinks I look like batgirl. Lucky man. I made a vlog for you all. I am 110% sure I use the wrong terminology for all things hair in this video, so I'll warn you about that first. I also feel that now would be a good time to give you a disclaimer: I AM NOT A HAIR STYLIST. If your hair, with bleach in it, starts to look like cottage cheese: You have gone too far, my friend. And, if you buy jet black hair color, instead of dark brown. I am so, so sorry. But, really, there is nothing I can do for you at that point. You always could make a Y O U T U B E V I D E O about your hair tutorial gone wrong and laugh about it later though. 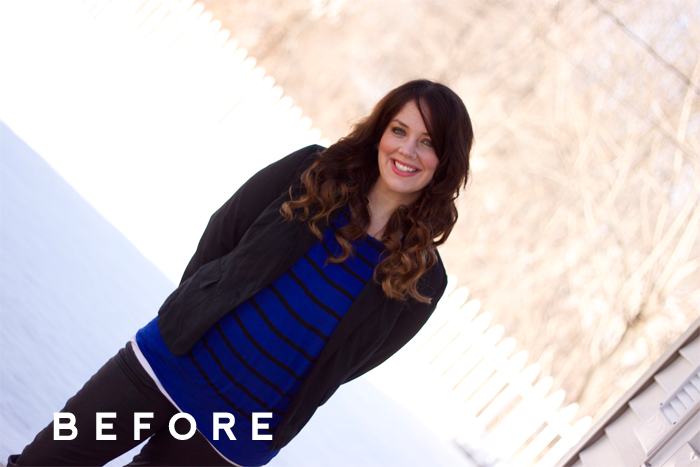 Without further ado, here's ombre made easy! S T E P 1 : Apply your bleach. You'll see in my awesome video that I pull my hair forward, in a beard like fashion, and apply it to the ends of my hair. From there, I randomly blend it up a little bit higher in my hair. There are parts of my hair that probably stayed the original color because I don't apply the dark color all the way down, and I don't apply the bleach all the way up. For me, this is a good thing. It makes it so my hair fades gradually and there isn't just a straight line going from dark to light. Catch what I'm throwing, people? 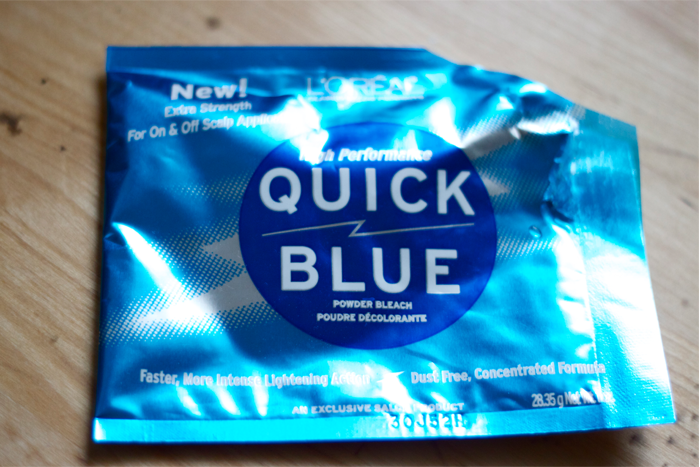 S T E P 2 : Rinse bleach out of your hair. This time will vary woman to woman (Man to man?). Watch the color til it gets to the lightness that you'd like it. Keep in mind that it will look lighter than it actually is, cause the bleach is white. I thought I'd leave mine in for 10-15 minutes but I ended up leaving it in around 30 minutes. S T E P 3 : Apply dark hair color. I mixed two different level 4 Feria browns together and applied it from my roots down to the middle of my hair, leaving it on around 20 minutes. S T E P 4 : Shower. Shampoo, condition, and towel dry your hair. All the cool people are doing it. 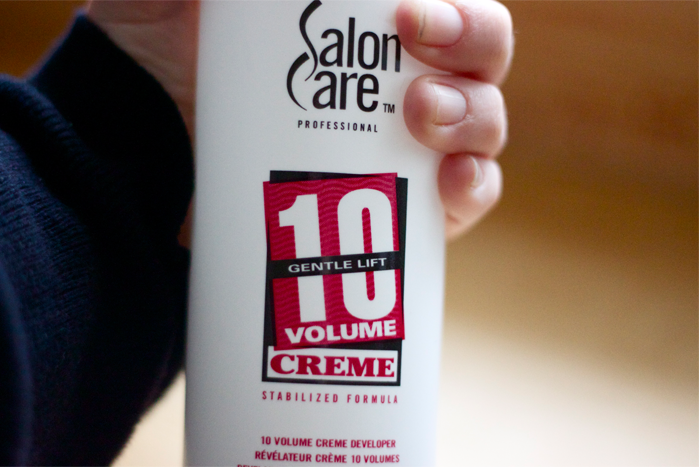 S T E P 5 : Apply toner to bleached ends, if needed. Most likely, it will be needed. 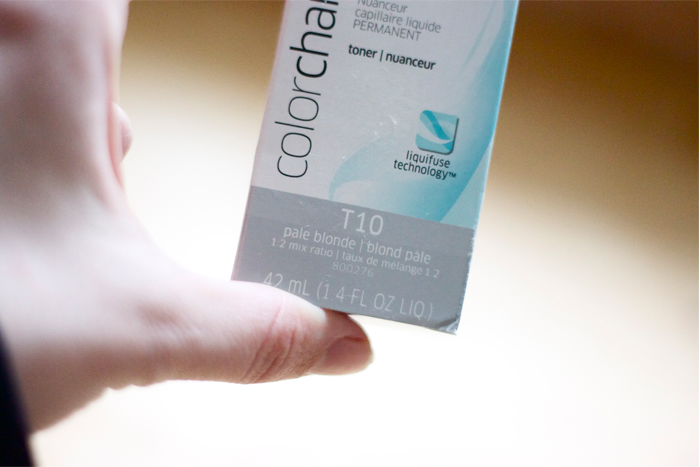 Don't worry about the toner touching the dark hair, it's totally fine. Trust me. S T E P 6 : Watch the color of your ends til it gets to the shade that you'd like it. 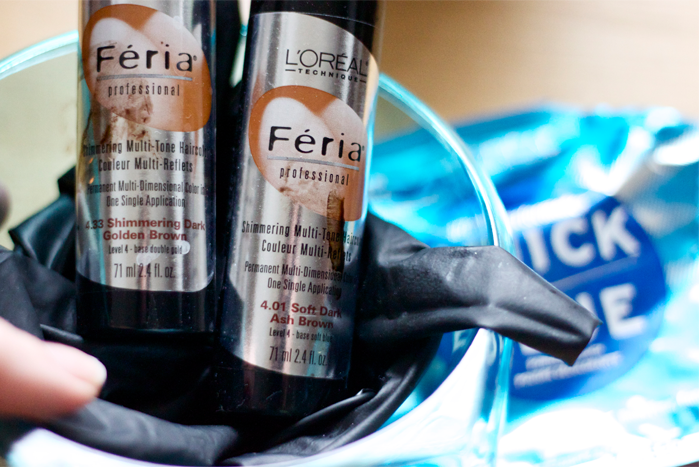 Rinse and condition, dry and style. Baddabing Baddaboom. and… viola! You're a new woman. Here's my vlog… to sum it all up for you. Or confuse you? The verdict is still out. I should have probably titled it Hey Guys! since I say that around 18 times. Please enjoy when I come in with all the dark hair color on my head, or as some may call it: the night of the living dead. 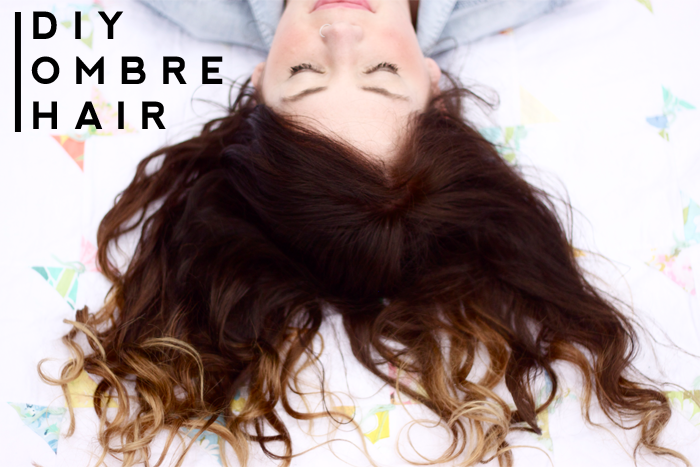 ombre forever from danielle burkleo on Vimeo. 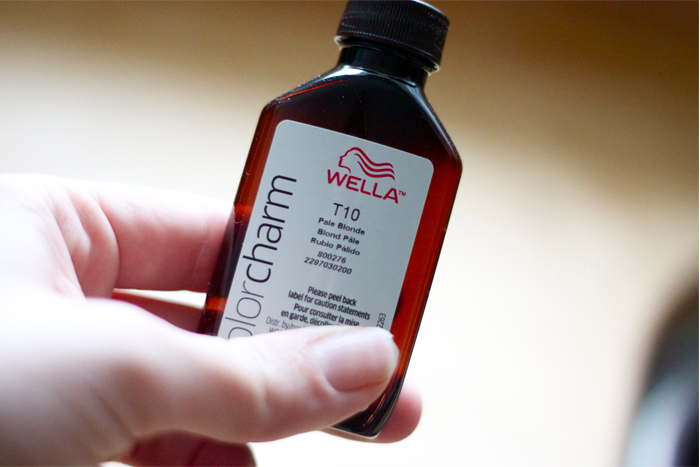 Dude/lady, that's the prefect ombre. And you look gorgeous! Love the ombre! It was cool to see a video of you too! You are so beautiful. I love the pics of you lying down. And great tutorial, but can't you just do it for me? Pretty please? I love how your hair turned out. 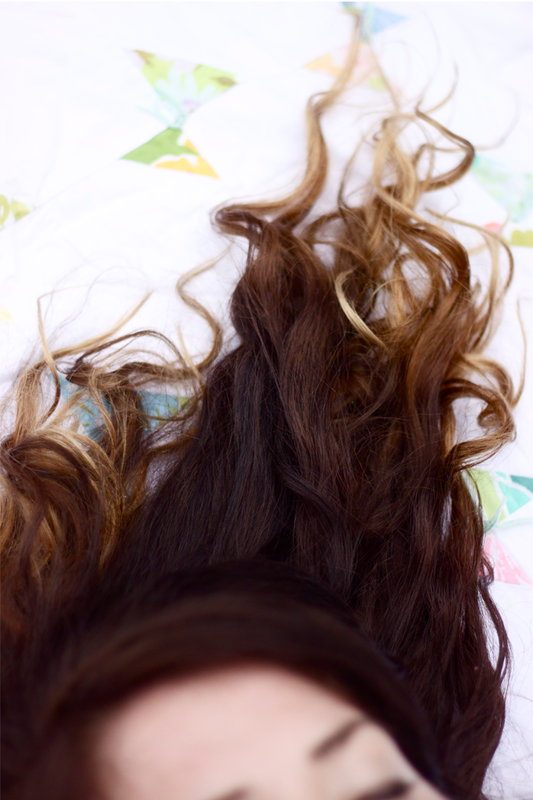 I do my own ombre at home too! I knew I couldn't be the only one. I've been waiting for your tutorial since I saw it was coming on instagram. I am doing this right now. Like bleach in my hair right now. Get it, girl! I cut my own hair (and I am SO not a hair dresser). Everyone thinks I'm super brave for doing it... but I'm all about saving some moo-lah! I'm pretty sure the second my hair gets long enough this will be happening, again. I'll let the video be my guide. I love the ombre! You look beautiful with it! My hair has never been long enough to pull it off but I would do it in a heartbeat if anything past my shoulder looked even semi decent! Girl...I had to watch the video just to hear your voice again. I think our inner hair stylists are soul sisters....we both do our at home hair the same way....by the seat of our pants. LOVE it!! It came out gorgeous! All my color has pretty much faded. I just bought some yesterday! whoop whoop! First of all... you are WAY too cute and I miss your face! Second...this is AWESOME. I always used to color my hair at home with my momma and somehow I stopped trusting that method. So silly. I may have to do this. You have given me all the tools and hope. Haha. Love it. Hot momma all the way. Miss you...wait, I said that already right? I Just used L'oreal ombre last night, and I now have caramel ombre highlights, but I have long, thick hair and obviously need to go over it again to get lighter. Does anyone know how long I need to wait to do it again? I have "virgin" hair, very healthy. I would wait 2 weeks and then at least 6 weeks after that. You do such a great job with the tutorial but I just wanted to check if your hair had already been dyed before you did this? I want to do this to my hair but I need to know if I need to make any adjustments to your process because I've already dyed my hair. Thanks! And by the way, it turned out beautifully!! I really want to try to do this at home. It looks just so pretty, hope i can do it! I literally paid to go home in tears. Your so beautiful! New hair style in just an hour or so. 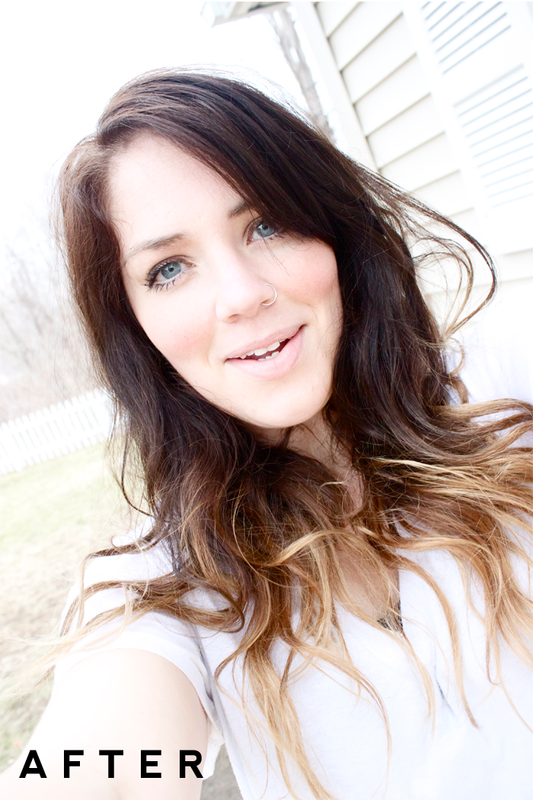 I'm really loving the ombre hair, thank you for the video tutorial.